Celebrate the longest putt at your next tournament with our Longest Putt Golf Trophy! 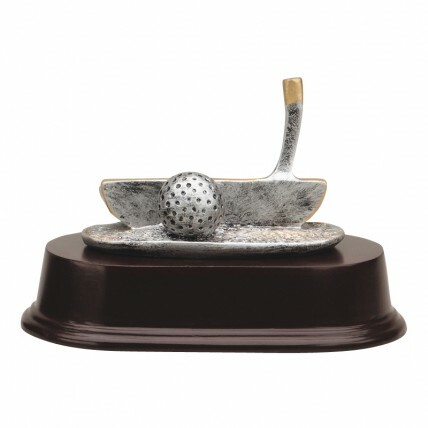 At 3.5" tall, this resin golf trophy features a putter and ball on a rosewood base. Your FREE engraving is etched on a black brass plate with gold letters. Check out our matching Closest to the Pin Golf Trophy and Longest Drive Trophy Golf Trophy for the winners of your golf tournament!